Choosing to lease a cool limo can be a great deal of fun, particularly in case you have a number of your friends or family members to come together for the ride. Obtaining our limo rental in Portland for a couple hours, or perhaps a whole day, is amazingly low-cost. And in case you split the price among everyone riding, you may discover that there's no more affordable way to travel in fashion and with style. Smart and savvy people always decide to choose the services of Bridge City Limos whenever they need a reliable and dependable limo ride for whatever reasons they may need one. When a limo ride is what you are looking for, more people trust Bridge City Limos over any other limo rental in Portland, and throughout the entire region of the state. We feel that one of the main reasons for our continued success is the fact that we treat each and every one of our clients the same way that we would like our friends and family members to be treated. Then, there is also the fact that our perfectly maintained limos provide the most luxurious accommodations at the most amazingly affordable prices. We also provide the most courteous and reliable chauffeurs who have deep knowledge of travel experience. To spend a bit of time sightseeing in a limo can be extremely fun. Some individuals choose to make use of a tour bus, others walk. Some people spend a great deal of their time jumping from taxi to taxi. To have a person that knows exactly where they're going is a lot better than being forced to count on a GPS in a rented car. With a limo, all you have to do is actually take it easy and enjoy the trip. There's no need to stop and get directions, and no need to continually make certain you have not missed a turn. 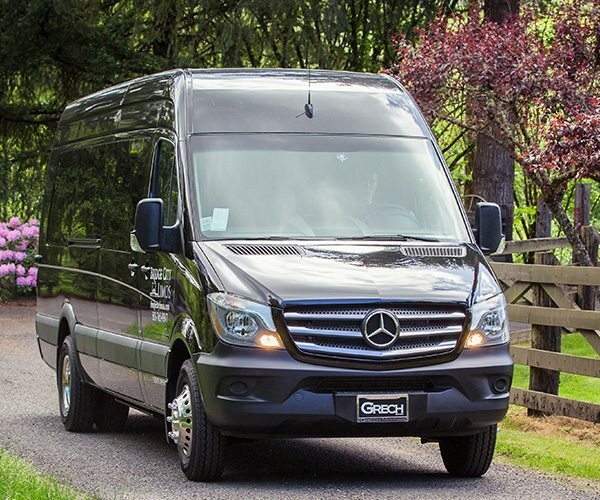 There truly is not a far more luxurious way to take in the sights of monuments and landmarks. Birthdays are a fantastic reason to lease out a limousine. Having the ability to cruise around town with several of your friends is the most unique way to celebrate a special occasion. Celebrating in a limousine, you won’t need to be concerned about who's driving or how you’re going to get there. You might not have somewhere specific in mind, but with a limo, you do not need to go anywhere, the drive itself is actually a party. Everybody who chooses to opt for a fun limousine ride for their birthday absolutely loves it! If you would like some additional information regarding our affordable and exciting limo rental in Portland, Bridge City Limos would like to invite you to check out our web site. At bridgecitylimos.com, you can learn more about the types of luxurious limos, along with the enjoyable services that we offer. On our home page, you can leave your contact information, or you can simply call us at 503.765.9367, for any further assistance.